HMD Global has also launched Nokia 6.1 Plus and Nokia 5.1 Plus in India after Nokia 2.1, Nokia 5.1. In Nokia 6.1 Plus and Nokia 5.1 Plus, you will get a Nokia display and a glass back panel. 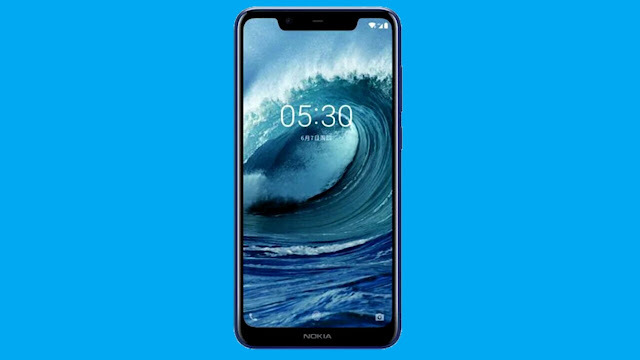 In May 2018, the company launched Nokia 6.1 Plus and Nokia 5.1 Plus in China under the name of Nokia X6 and Nokia X5. Both handsets are Android One smartphones running on Android 8.1 Orio. Both of Nokia's handsets come with the Aspect ratio of 19: 9. We spent a little time with both the smartphones, let's tell you about them. The Nokia 5.1 Plus is a bit bigger than Nokia's Nokia 6.1 Plus. In addition to Nokia, Nokia 6.1 Plus and Nokia 5.1 Plus do not have a border. In the lower part of the smartphone, HMD Global has given the Nokia company logo. Nokia 6.1 Plus and Nokia 5.1 Plus Gloss Black, Gloss White and Gloss Midnight Blue will be available in three colors. Gloss look is quite attractive but due to its glass back panel, its filth and fingerprints can be printed. Nokia 5.1 and Nokia 6.1 are a bit heavy and strong handset in weight. So there are Nokia 6.1 Plus and Nokia 5.1 plus smartphones with very low weight. Nokia's handsets are compact and handsets which fit in pockets. Because of the Curve Edge and Aspect Ratio, Nokia 6.1 Plus and Nokia 5.1 Plus can be easily caught in hand. The back panel of both Nokia's handsets is similar in appearance. You will get a dual rear camera setup on the back panel. The fingerprint sensor is present at the bottom of the rear camera, and just below it is Vertical Nokia. At the bottom, you will see the Android One logo. The headphone jack will get a 3.5mm headphone jack in the upper part of the phone. After spending some time on the phone, when we tested the fingerprint sensor, we found that it works very fast. Both of HMD Global's smartphones are equipped with face recognition, in its feature bar, we will tell you in detail in our full review. In both handsets, you will get a USB Type-C port and a loudspeaker on the bottom of the phone. 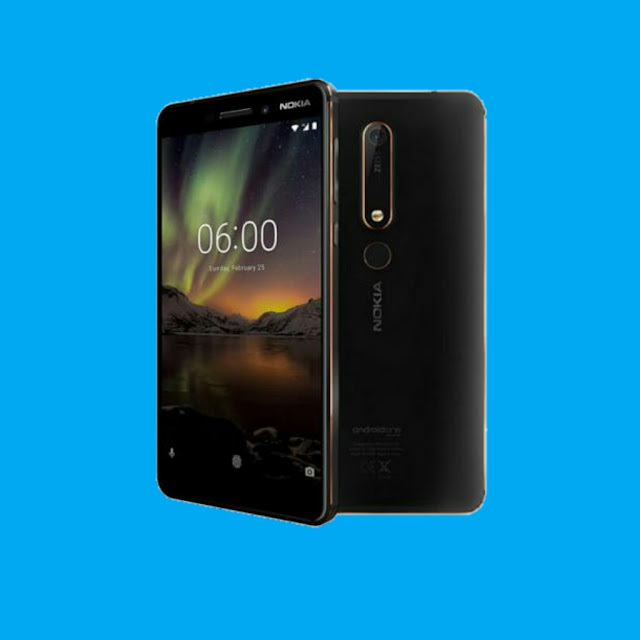 Nokia 6.1 Plus offers 4 GB RAM with Octa-Core Qualcomm Snapdragon 636 processor. This processor has also been used in Asus ZenFone Max Pro M1 and Xiaomi Redmi Note 5 Pro. Asus Genfon Max Pro M1 costs Rs 10,999 and Shawmi Redmi Note 5 Pro costs Rs 14,999. The Nokia 5.1 Plus smartphone has a Neural Processing Unit with the Octa-Core MediaTek Helio P60 processor. The neural processing unit has been used for better detecting face, photo, and video. In Nokia 5.1 Plus, you will get 3 GB of RAM. Both handsets open the first party application in less time and we have not had any problem with the camera app too. There was some problem while using Nokia 5.1 Plus because it crashed midway. A representative of HMD Global told that the phone is currently running on pre-production software. Inbound storage of Nokia 6.1 Plus will get 64 GB and 32 GB of storage in Nokia 5.1 Plus. It is possible to use MicroSD card in both smartphones if needed. There is a 3060 mAh battery in both the handsets. Both Nokia's smartphones support fast charging. The biggest feature of them is that both handsets are Android One smartphones. This will give you stock Android experience, and for two years Android version will continue to get security updates for up to three years. HMD Global has convinced that both smartphones will soon receive Android pie updates. Nokia 6.1 Plus comes with dual rear camera setup. The primary sensor is 16 megapixels, whose incarnation is F / 2.0 and the second sensor is 5 megapixels whose incarnation is F / 2.4. Nokia 5.1 Plus has a dual rear camera setup, the primary sensor is 13 megapixels and the 5-megapixel depth sensor present in the coupling with it is both the sensor's aperture F / 2.0. The Nokia 6.1 Plus includes a single LED flash in Dual LED flash and Nokia 5.1 Plus. On the front panel of Nokia 6.1 Plus, there is a 16-megapixel camera, whose body is F / 2.0. On the front panel of Nokia 5.1 Plus, there is an 8-megapixel camera, whose incarnation is F / 2.2. There are many features such as Live Bokeh mode, AR Stickers, Dual-Site Mode, Beauty Mode and Artificial Intelligence Portrait Lighting in the Camera app. Nokia 6.1 Plus and Nokia 5.1 Plus are both good looking and both of them work on Android. 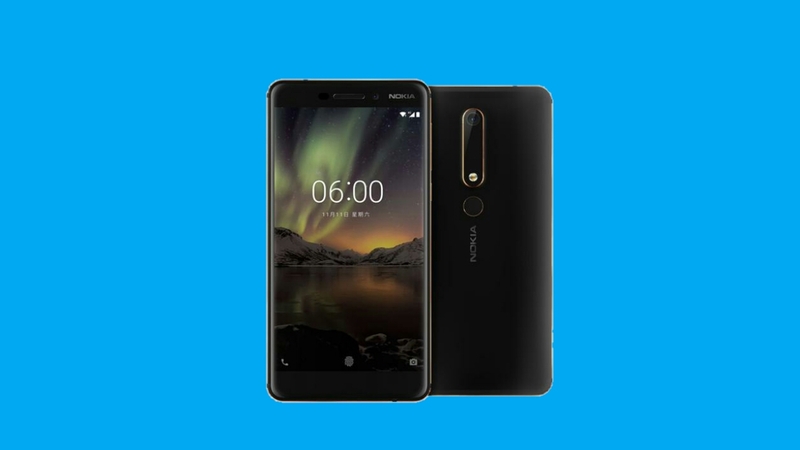 Nokia 6.1 Plus is priced at Rs 15,999 and its sales will be on Flipkart and Nokia.com from August 30. This thin and compact smartphone will challenge Radmi Note 5 Pro and Asus Genfox Max Pro M1 in this price. HMD Global has not curtailed the price of Nokia 5.1 Plus in India. Nokia 5.1 plus sales will start by the end of September, this handset will compete with the low-frequency handset of Realme 1 and ZenFone Max Pro M1.